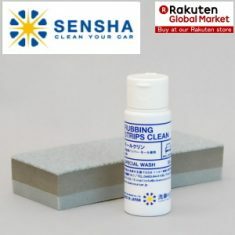 RUBBING STRIPS CLEAN - SENSHA CO., LTD.
Wax and dirt stuck on unpainted plastic parts is difficult to be removed by normal shampoo wash. 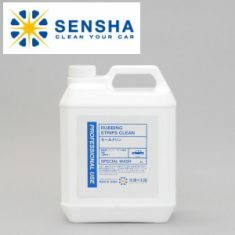 Even when they are hard to be removed, you cannot use strong solvents such as paint thinner. It will damage the materials. 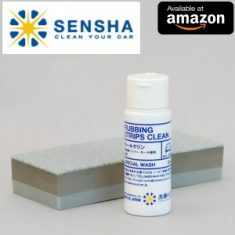 Please try our “RUBBING STRIPS CLEAN ”. 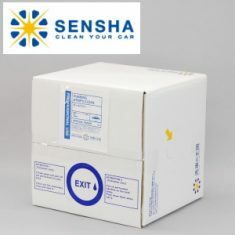 This product has been developed for unpainted plastic parts. 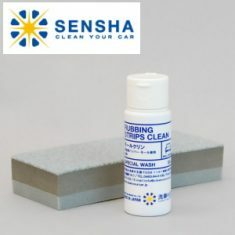 It will remove the dirt stuck on bumpers and strips. “RUBBING STRIPS CLEAN ” is not the same as usual washing detergent. You will be surprised how clean it will come by using the special sponge and the detergent. 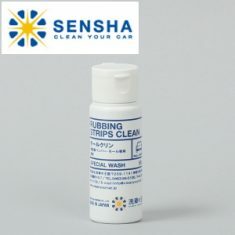 The product has been developed based on experiences at the industry’s leading car care shop in Japan.